Griphold Engineering is one of the leading suppliers and exporters of OEM specification Heavy Duty Tool Kit, which are at par with global quality norms. 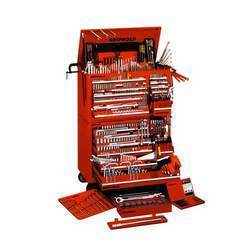 The range of our heavy duty tool kits include Mechanical Service Tool Kits, Master Mechanic Service Tool Kits, Drilling Service Tool Kits and Garage Maintenance Tool Kits besides the complete set of Heavy Duty Tool Chest and Tool Boxes. In addition, we also offer heavy duty industrial tools and equipment as per the specific requirements of our clients. We offer Tool Kit for diverse industrial applications in sectors like heavy engineering, chemicals & fertilizers, oil & gas, mining, automobile, petrochemicals etc. Looking for Heavy Duty Tool Kit ?